Bangladesh's first Encyclopedia aptly named-- the Banglapedia is out. Scholars and lay people alike, have been eagerly waiting for its arrival. SWM unfolds the behind the scenes story of this massive ten volume undertaking and evaluate it through its critics. Encyclopedia is a living body of knowledge”, says Sirajul Islam, the key-figure behind the project of Banglapedia -- the first venture that in its breadth and scope has accomplished the feat of remaining all-inclusive. “It will be periodically updated” stresses Sirajul Islam, who feels that as a comprehensive project it has its weaknesses, and a Banglapedia trust has already been formed to take up the task of bringing out updated additions. The Banglapedia Trust is a permanent institution that is all set to receive feedback from the users and include what Sirajul Islam, Banglapedia's chief editor, refers to as “contemporary knowledge” or “newly generated knowledge” in successive editions that would follow the present one. The ten volumes encompassing six thousand entry-heads from twelve hundred scholars exploring thirty branches of knowledge, it is a feat that Bangalis had never before thought would be materialised. This “mega project” as it is referred to by Sirajul Islam, the man who conceived of the idea of such an endeavour and who also steered the project from its idea to the physical form of ten hard-bound volumes, is a set of books of reference. In fact it is what the word encyclopedia stands for. As do all encyclopedias, the Banglapedia too provides an easy access to knowledge. “It is a time saver,” Sirajul Islam contends. As a desk reference, this set of books relieves one of the exertion of gleaning information. Thanks to Sirajul Islam and his team and also to the Asiatic Society that people of Bangladesh and other Bangla-speaking folks can now boast of having in possession a vast source of knowledge of culture, politics, arts and religion of this region. In the preface Sirajul Islam writes, “the board tried to consciously include at least all those topics which would be normally looked up by users”. When asked to clarify the term “normally”, he said, the board tried to cover areas commonly sought and widely read, the events that shaped this nation and its culture, the people who affected the course of history were given priority. The Banglapedia is all-encompassing only in the sense that it has incorporated subjects deemed important in the context of Bangladesh as a nation, how it came about and in what political, cultural and geographical context this land and it people is seen today. Many specialist subjects are not there. “If you look for Algebra you would not find it there” says Islam. His contention is that it is a standard desk reference for Bangladeshis, a book that would equally come in handy for someone eager to know about Bangladesh and the Bangla speaking people. So what's exactly in this large ten-volume-strong huge encyclopedia? There are subjects that have been given full throat. Not only the 64 districts, but each of the 451 upazilas has been described in details: from the topographical account of the areas to the number of hatchery and dairy farms, from the main crops of the area to the communication facilities, little has been left out. In fact one might complain against or at least, wonder if such exhausting details of upazilas were at all essential. 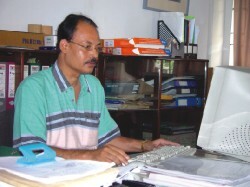 Abdul Momen Chowdhury, one of the five subject editors, explains the rationale: “When the government or NGOs or any development agency take up projects they can consult such detailed information and accordingly choose their project area or the kind of projects they should undertake in a particular area”. Besides the fact that around 400 local intellectuals were given the charge to write about their respective zillas and upazillas is definitely a unique approach to information gathering. The project's ambition combined manifold aspirations of its planners and executives, one is that of its being a unique volume of indigenous knowledge. It is certainly a precedent-setting work in this respect. The ones that preceded this were either for a specific readership or explored a specific domain of knowledge. Here the Banglapedia stands apart. Its chief editor sheds some light on it in the preface. He and his team of five subject editors rested their beliefs on the fact that it would cater to a wide spectrum of readers, from students to specialists. The challenge was that of creating it, through meritorious selection and preparation of entries, that would be useful to students, general readers, specialists as well as those who are unfamiliar with Bangladesh and facts that went into making of it. The enterprise, which the chief architect lovingly calls 'the compendium of Banglapedia', a name that combines the Latin pedia meaning all-round knowledge and Bangla--the ancient name that asserts most adequately the territorial and linguistic identity of our nation. Bangla in cognate with Vanga, Bangalah, Bengal, Vangadesh and many of the words that were in use in the successive periods that preceded. But to clarify the concept, Banglapedia has a subtitle: National Encyclopedia of Bangladesh. The entries of Banglapedia, since 1947, were restricted to this geographical region only. However, for biographical entries, the linguistic identity was considered and those outstanding figures who contributed to the whole spectrum of culture, politics and among other branches of knowledge were given their proper niche. The idea of the Banglapedia project originated when the Asiatic Society of Bangladesh was working on the three-volume study: History of Bangladesh, 1704-1971. It was back in 1991, while this project was in progress that the editors faced the dire consequence of not having any standard desk reference to go to. In absence of such a useful tool the process of checking and verifying and linking facts and features culled from the library resources became as laborious as it was time consuming. Sirajul Islam remembers how in such special circumstances the idea of compiling a national encyclopedia of Bangladesh had been given serious thought. The idea finally led to a concept paper that was prepared by Islam and his colleagues, which was submitted to the Asiatic Society of Bangladesh in early 1994. However, the Banglapedia project was adopted for implantation on 19 February 1997. It was at this stage that Sirajul Islam was put behind the steering wheel, appointed by the council as the project director and chief editor. “Scores of intellectuals joined in as planners, organisers, contributors, reviewers, editors, translators, researchers, designers, technicians, fund raisers and so on,” says Islam. The Project Implementation Committee that Islam headed, were given the task of planning and managing various aspects of funding. They also had to arrange training for the project personnel. It was a ten-crore-Taka project that saw its launching without any ready capital. However, finding encyclopedic contributors and workers seemed to have been more difficult than mobilising the funds required for it. The project officially took off in 1998. According to the project plan, the compilation process was expected to be completed by the end of 2001. Islam and his colleagues achieved their target. In fund raising too, the project saw an unprecedented enthusiasm from its donors. Twenty six percent of the total fund came from some of the universities and banks. The rest the government provided. The project that took off as a private venture with one man's intellect and passion as its driving force, later became a national venture with the institutional and financial support of the government of Bangladesh. This publication is entirely based on latest technology. Its entries were received in floppies and then they were passed on from one computer to the other. Before it was published, the desktop version was the guide for the editors and the chief editor regarding the chronology. “Two hundred and seventy full-time personnel were involved in its making while 35 to 40 people worked at a time,” informs Islam. Entry identification was a major undertaking, and as many as 30-article-identification groups were made. Their duty was to select articles and to forward them to the editorial boards. There were sixty members, and they worked in six different sub-committees headed by six subject editors. Each sub-committee was constituted according to a particular discipline of knowledge. There were six consulting editors, four language editors, and three translation editors. Every subject editor received assistance from six assistant and associate editors. To make things easier for them a good number of corresponding editors were there, and research supporting staff along with technical support staff constantly provided their expertise. A work of this nature calls for involvement of a lot of experts from various fields. Since cartographic work, sketches and photographs were needed, expertise in these areas was also sought. One big challenge facing the project and its planners was the desire to have it printed in two different languages at the same time. “We wanted it in two languages. We could have opted for English only; that would have saved a lot of extra work that we had to do in order to translate the entries. But we wanted a body of knowledge accessible to the Bangla-speaking people as well,” asserts Islam. “We don't give lectures on Bangla, but we thought if these volumes did not come out in Banlga we will be depriving a vast majority of the people of having access to a comprehensive source of knowledge,” contends Islam. Entries were received from home and abroad, and many were written in one language only. Although there was a lot that was written in both languages, the committee could not rely on the translation received from outside. It was after cross-verification that they determined whether to change and edit the original content. Matching, cross-checking and editing were done both to “maintain the linguistic standard and the correctness of facts and figures in the entry heads,” as Islam puts it. One strong point about the Banglapedia is certainly its list of contributors which boasts of distinguished foreign experts along with the local intellectuals. Chowdhury thanks the project committee as it didn't shy away from coughing up extra money to rope in foreign experts. “Foreign experts and Bangladeshi or Bangali experts working abroad constitute about 20% of the writers' list,” he points out. Again the Board of Editors have done themselves credit by showing a lot of conviction in their judgement, sometimes even at the risk of being criticised for their extraordinary courage. The entries titled Boishnob literature, Boishnobism and Chaitonnyadev are a few cases in point. One would naturally expect a Bangali writing on this topic, but it has been done by an American called Tony Stuart who, Chowdhury informs, has been doing research on these areas for about 40 years and has got some invaluable publications to his name. However, given the enormity of the project that includes a lot of “re” factors like re-writing, re-editing and re-typing it is perhaps only natural that the Banglapedia contains some typing mistakes and perhaps a few errors. One particular weakness, according to Chowdhury, has been the statistics provided in many of the entries. “In some cases we had to depend on different government offices, each of which couldn't be re-checked or verified for practical reasons. Sometimes we had to depend on available information which are not updated,” Chowdhury explains. He however hastens to add that some of the mistakes are being rectified in the CD (compact disk) version which is in the making process. The team involved in the making of the electronic version of the Banglapedia. It's not difficult to imagine the kind of hard work put together to accomplish a work of the scale of Banglapedia. 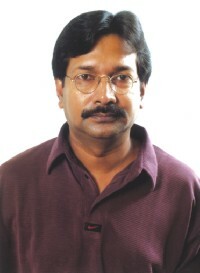 It involved a lot of different types of jobs : “It was not just editing, re-editing but also contacting and reminding contributors, not to mention the unpleasant task of refusing someone's contribution or to ask someone to re-write his piece.” Chowdhury then recalls the excruciating hours: “Very often we worked from 8am to 8pm. The space constraint in the press forced us to do the binding (there were 100,000 copies) on the floor of the Asiatic Society's auditorium and we sweated day and night to meet the deadline.” It was the team spirit, passionate involvement of the team members to the project and above all what Chowdhury terms as 'the inspiring leadership' of the project director and chief editor Sirajul Islam that kept them going. Islam says that they were merciless in cancelling entries, two major criteria were to meet the standard and the deadline. So far the Banglapedia has received fairly positive responses from academics and general readers alike. And, if sales are any indications of appreciation, the Banglapedia has certainly done wonders. “Out of 10,000 sets 4,500 sets of the Bangla version and 2,500 of English version have already been sold out,” Chowdhury reveals. The figure, he frankly admits, has been far beyond their hopes. Neither was there any dearth in enthusiasm among the buyers coming from very different backgrounds. He recalls the huge rush of people at the Society premises who didn't mind waiting for hours in the queue. “ It was just unbelievable. We had to keep sales on until 9.30 pm to clear up the rush,” he says. To address “sensitive issues,” a committee of experts was formed. Politically and theologically controversial issues were thus avoided. But, in doing so the Banglapedia has compromised its stance as a comprehensive body of knowledge. At least many users who were eagerly waiting for the volumes feels that it failed to fulfil the expectations it raised. A student of BUET, who is something of a bookworm among his classmates, opines, “the project shows signs of being influenced by the present government's political tilt. The entry on Jamaat-e-Islami is a classic example: their activities during the liberation war has completely been omitted”. Shibli, a student of architecture, believes that the price of the volumes is too high. And he is also unhappy about the inadequate information on certain subjects like architecture and art. He thinks these entries carry sub-standard photos. Yet in the Asiatic Society's booklet on the project the goal was stated as to “describe, interpret and integrate the lived historical experiences and achievement of Bangladeshi people.” If this is so, the Banglapedia with all its brownie points that it deserved for all the good reasons, fails in one account: the history of liberation war and its ramification in our national life. The Banglapedia is an outstanding achievement, its making was a colossal task. And its makers are still hoping to improve upon what they have in their hand. “Academically and linguistically the existing entries can be improved,” stresses Sirajul Islam. Enamul Haq, one of the translation editors and contributors, also echoes the chief editor in stressing the kind of time consuming studies and effort they had to put in. “Often we needed to consult three books to write an entry of about just 200 or 300 words,” Haq says. As far as controversy regarding some entries is concerned, he believes that the chance is always there to rectify them in future editions. He points out that this shouldn't in any way lessen the importance of such a unique endeavour as the Banglapedia is. Encyclopedic literature was not there before, the Banglapedia is a precedent setting work. It is a new genre, and the team involved with this maiden project has inspired others in envisaging other encyclopedias. Islam cites a proposal that would exclusively be on flora and fauna of the region. The quest for knowledge is unending, and if Banglapedia has “galvanised others”, as Prof Sirajul Islam puts it, in putting forward plans for encyclopedias exploring other exclusive subjects, we, as a nation have a lot to look forward to. If the Banglapedia had triggered a quest for knowledge in the backwater that this country still remains, then it would incite its detractors to see it in a totally different light. The Banglapedia multimedia CD is nearing its completion. It may hit the market in the first month of 2004, or, if work is completed before that, it may see its release as early as the end of this year. It all depends on a lot of variables -- ranging from uninterrupted electricity supply to successfully completing the cross-links and the visually pleasing lay-outs. The hard form of the volume is going through a complete overhaul. Alongside correcting the mistakes, feedback from the users and scholars are being considered. Although no substantial changes in the original text is being introduced, the project implementation committee, with the help of editors are trying their best to make the CD flawless. Prof. Mahfuzul Alam is looking over the CD version. The subject editor Pof S M Mahfuzur Rahman is in charge of the project and he proclaims to have employed the most efficient bunch of experts to produce the electronic version. The conversion is not an easy task. To materialise the desire to have it all in one CD and to make it interactive and user-friendly, Rahman and his team including the programmers and graphic designers, are working diligently. The CD's work is at its final stage. The graphic images developed by Zahirul Islam, Jahir Uddin and Asaduzzaman Sohel are being reexamined. Once given the green light by the committee, CD's visual configuration would be completed. 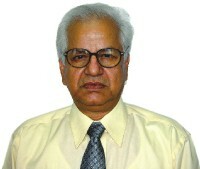 One who has shouldered with the complexities of programming is Mahfuzul Alam. His crucial task is to make sure that this auto-run CD performs as per its database, upon which the programme is based. The search engine is standardised and all the links and cross-links are to be accessed using this programme. Alam says, “It is a huge text, and we are trying to make sure that the 60-70 thousand links that we have created are working.” The links are not the only feature of this interactive CD. The access to sub-headings of the bigger entries too were made available through a provision which they named “Vontline.” “There is also option for the user to make his or her own “favourite list, which makes it all the more easier to gain entry to the desired subjects,” points out Alam. The CD contains a lot of bonus, sound tracks Nazrul's and Rabindranath's songs, video footage on the 7 March address by Bangabandhu to sceneries exploring the flora and fauna, is encased in this one-CD edition of the electronic Banglapedia. Many pictures that were printed in black and white in the hard volumes will appear in colour. The CD had to wade through a lot of difficulty in its initial stage. The lack of software made the transformation of images and diagrammes a difficult task. The cover design of the Multimedia CD. The CD version will only be in English. “It is a pity that a work of this magnitude will not be available in Bangla. The lack of software impeded our plan to have one,” says Sirajul Islam, who laments the fact that successive governments did not pay due attention to development of the computer industry in this country. While working on the CD of the Banglapedia, the foremost deterrent seems to be power failure. “We have not only lost time, while working on the CD, because of constant fluctuation of electricity supply, but also a few hard-disks full of information, which is making the venture even more costlier,” explains Rahman. At present to avoid risk of losing data, back up is being kept in three different computers. While many impediments have been overpowered and many still are gnawing at them, braving all these, experts and graphic artists at the Asiatic Society's computer section are labouring away to complete their work. Most of the computer experts are graduates from the Graphic Art Institute of Dhaka. Before embarking on this project they all received training in multimedia from the society. Sajjad Sharif is well known as a poet. But, he has long been a cultural and political voice who first won over the alternative scene of Dhaka in the eighties and later moved on to the mainstream. He sees the Banglapedia in a totally different light, and points out to Star Weekend Magazine a few gritty truths about encyclopedias and their function in the society. SWM: Why do we need an encyclopedia? How would you define it yourself? Sajjad Sharif (SS): For ready reference, to be able have a vast body of information handy, we do need an encyclopedia. But, it too has a history. It was during the enlightenment, that people like Diderot, who we know as an encyclopedist philosopher, realised the need for a series of volumes encapsulating vast knowledge. It has a link with colonisation, both expansion of knowledge and branching out of it resulted from it. The end of feudalism and the belief that world has come to the grip of human race through new knowledge and science has a strong bearing on Diderot's Encyclopedia. In short, its aim was to accommodate newly acquired knowledge with an eye for the future. But the motive behind this kind of work has drastically changed over the last one and a half-century. Now the world is divided into clearly defined blocks -- one generates knowledge and the other receives it. Current encyclopedias are a means to maintain the status quo of the world order. It all boils down to attainment of power by manipulating knowledge. SWM: Are you referring to Encyclopedia Britanica? SS: Yes. It reflects a world divided into two, with the colonist at one side and the colonised at the other. In this sense knowledge, especially encyclopedic knowledge is a weapon to enforce the victim's point of view. SWM: In the context of Encyclopedia of Diderot, and also the one that is called the encyclopedia Britannica, how would you evaluate the one that we have in our hand: The Banglapedia? SS: The problem is that in Bangladesh the practice of knowledge is never free of fetters. Here, we have a two-fold problem, one is that we are a colonised nation and two we have a power structure which is not fully developed. In a country which is annexed with a bigger power for both economic and political reasons and where institutions of knowledge have not matured at all, and all the institutions are fully controlled by the government, the direct intervention of the government impedes every venture, and Banglapedia was no exception. It is the first national Encyclopedia in this country. In this regard it has a historical value. For this alone we must acknowledge it. And the mistakes and misinformation that it has, we may hope, will be looked after in future editions. But the problem lies elsewhere. It is not possible to produce a volume of free knowledge in the present circumstances. We have seen during Banglapedia's making that the government and its pets, the section of the media and other institutions were active in influencing the encyclopedia to make it more of a product that represented their point of view. The body that worked away to make it a successful project has been subjected to force and maneuvering. In short, the integrity of the project was dented, as people in power was constantly manipulating it. SWM: Will you site a few examples of mistakes and also tell us how it was manipulated? SS: Even if I consider it a trove of information, I personally think that it has major weaknesses. Many important entries were given small space, and less important ones were overemphasised. And there are silly mistakes that swarm these volumes. The most important area in which Banglapedia has failed us, is in setting of priorities for the entries. It seems to give the impression that its editors did not really understand the importance of one entry over another. Setting the priorities could have given it the focus it needed. SWM: Sirajul Islam believes that they did not go for value judgement, the Banglapedia strove to furnish the facts only. What is your opinion in this regard? SS: I must say we all live in a fiction as we think, often erroneously, that there is such a thing as objective truth. It is a very narrow-minded view to assert: these are impartial truths and those are not. In the name of objectivity and impartiality we often produce knowledge and information very much in the line with the people in power. The existing power structure and its culture of disseminating knowledge and information can only be negated or avoided when knowledge is presented with its cultural, political context. I think we can accumulate many different even conflicting point of views at once, this could be a way of being neutral. Other than this, the idea of neutrality in itself is fiction. SWM: One of the complaints of users is that the prevailing mainstream outlook of how Bangladesh came into being and how we look at our immediate past has been overlooked. What do you have to say to this? SS: It proves my point. The way in the entry of Jamaat E Islami, its role in '71 was omited, and how in many other occasions, more omissions were done, it spurs me to say that omission means adulteration of facts. The most pressing question is, do we change our history whenever we have a change of government? If a common knowledge like Jamaat's involvement in favour of the Pakistan government cannot be mentioned, then why do we need Encyclopedias? When the academics involved in Banglapedia were being pressurised by the government and a certain quarter of the media, they could have resigned or brought it to the knowledge of the public, which they did not. By not doing so they have given us a body of knowledge bereft of reality, of vision, and most of all of any risk of conflict with people in power. It is manufactured knowledge.